The University of the Fraser Valley women’s volleyball team has added a trio of out-of-province recruits in preparation for the 2018-19 season. 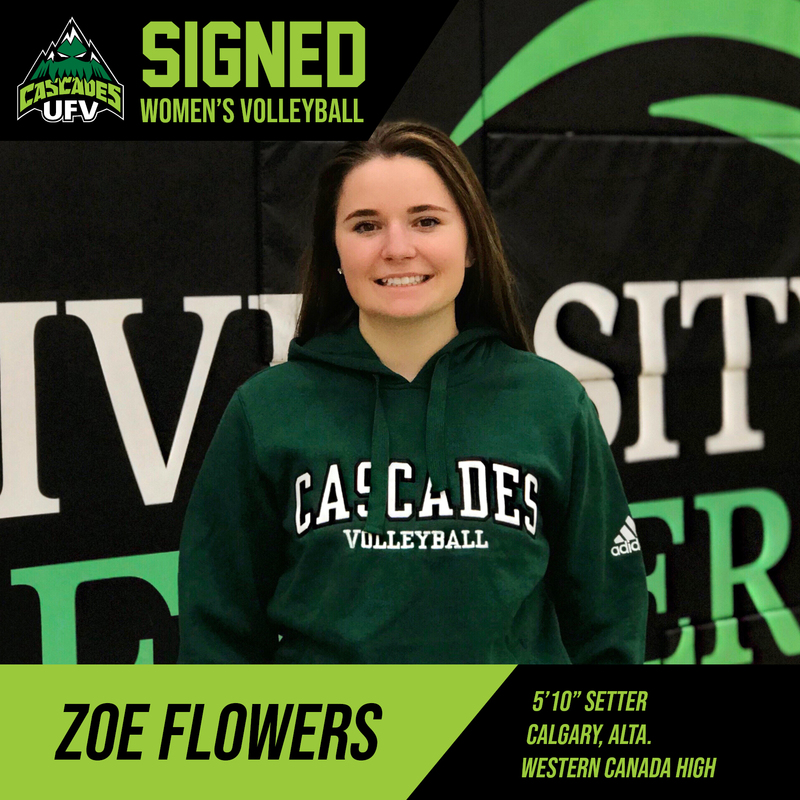 Cascades head coach Mike Gilray’s latest crop of signees included a pair of Albertans – Zoe Flowers (Calgary) and Stephanie Demeules (Chestermere) – along with Sacramento, Calif. product Kate Widman. The recent additions bring Gilray’s Class of 2018 to five players, joining previously announced recruits Kristen McBride and Alysha Cooper. Widman, a high-flying outside hitter, had an outstanding senior season with the C.K. McClatchy Lions. She led her squad to the Metro League championship, and was named league MVP. 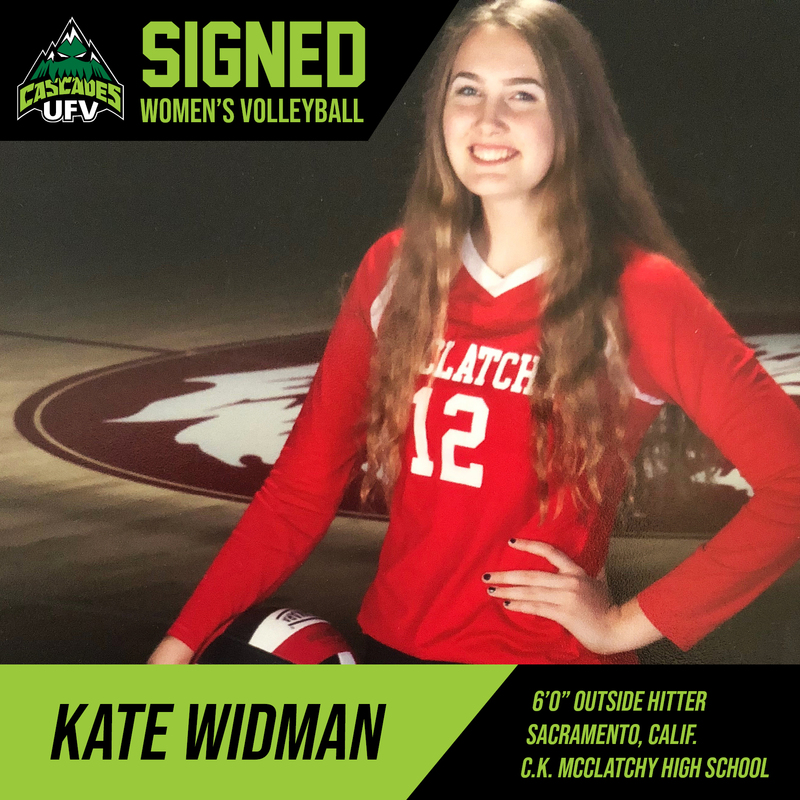 Widman spent part of her youth in Canada, and had an interest in returning north of the border to play her post-secondary volleyball. Flowers had a much-decorated prep volleyball career. In 2016, she helped Western Canada High School to a silver medal at the Calgary city championships and a fourth-place finish at the provincial championships. As a member of the Alberta provincial team, she helped the squad win a bronze medal at the 2016 National Team Challenge Cup. She also had a great deal of success in club volleyball with the Junior Dinos; in 2017, she was part of a team which won gold at the U17 provincials and the Best of the West tournament, and finished fifth at the national championships. In 2018, Flowers’s U18 squad won gold at four Alberta Volleyball Association Premier tourneys along with the provincial championship, to go with an additional gold at Best of the West and silver at the BC Volleyball Super Series. 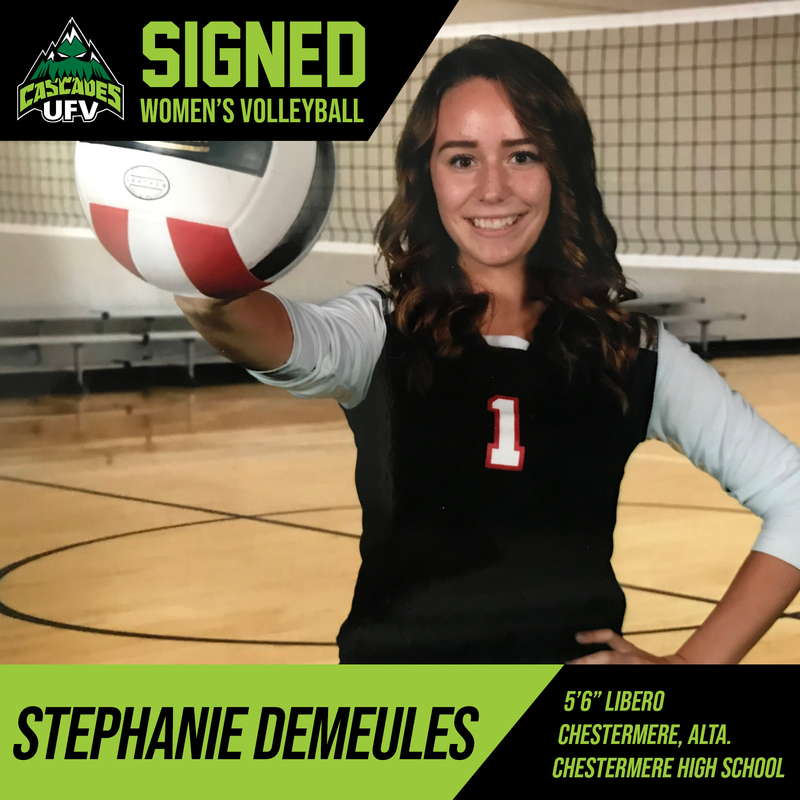 Defensive specialist Demeules starred at Chestermere High – she was named team MVP in 2016 and 2017, and subsequently earned the senior girls athlete of the year award in both 2017 and 2018. She also excelled on the club scene, winning the Crystal Division at AAU nationals in 2016. She brings a multisport background, having won divisional singles titles in badminton each of the past two years.